Magnesium News Can lack of magnesium cause muscle cramps? Can lack of magnesium cause muscle cramps? The first symptoms of deficiency can be subtle as most magnesium is stored in the tissues, leg cramps, foot pain, or muscle ‘twitches’ can be the first sign. Other early signs of deficiency include loss of appetite, nausea, vomiting, fatigue, and weakness. Types of muscle cramps – True cramps (Part 4) … Low blood calcium or magnesium: Low blood levels of either calcium or magnesium directly increase the excitability of both the nerve endings …. Dehydration can cause medical complications. An ongoing magnesium deficiency can lead to more serious symptoms, … If you don’t have enough magnesium, your muscles go into spasm. Chest tightness and difficulty breathing. 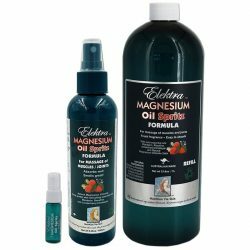 Massaging muscles with Magnesium Cream and Stop Muscle Cramps by using Magnesium Oil Magnesium Oil Spritz daily to build up magnesium stores in cells, and recover muscle flexibility after events with magnesium massage. Magnesium (electrolyte) mineral drinking water for adequate hydration. Magnesium is an essential nutrient in your body, required for more than 350 biochemical reactions! Most importantly for athletes, magnesium assists with maintaining normal muscle and nerve function, bone strength and flexibility of tendons. As magnesium levels get too low ligaments become stiffer with excess calcium increasing the risk of injury. Magnesium is also used by the mitochondria to create ATP (adenosine triphosphate), which provides electrical energy for enzyme reactions. Magnesium is used to synthesize proteins, so all of the collagen structures in the body (which are made of proteins) become weaker when there is not enough magnesium to go around. We can even suffer muscle wastage and osteopenia when magnesium levels are very low. The most important muscle in the body is the heart muscle and the left ventricle of the heart has more magnesium receptors than any other muscle in the body. Magnesium is absolutely essential to maintain normal heart and cardiovascular function. Muscle cramps and spasms, locked up muscles or frozen shoulder. Stiff ligaments or loss of cartilage. Chronic fatigue, low energy, metabolic syndrome.